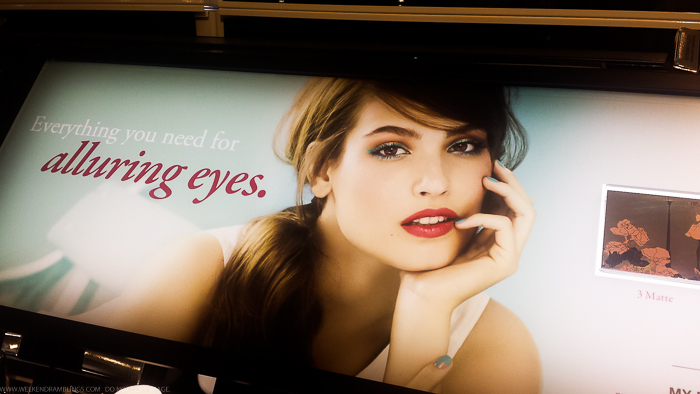 The palette features 6 eyeshadow shades - all of which are in the neutral, subtle brown-beige color family. The 3 matte shades are all light colors and would work great as all-over lid colors, brow highlights or just to blend along the crease. 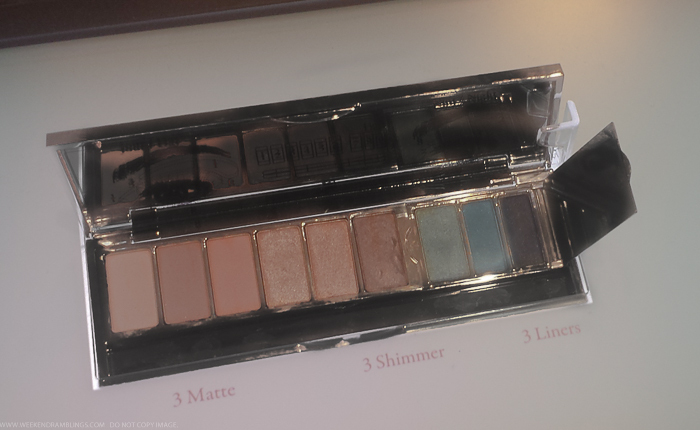 The shimmery shades are quite soft and definitely not sparkly or glittery. The 3 liner shades feel almost like really soft eyeshadows. 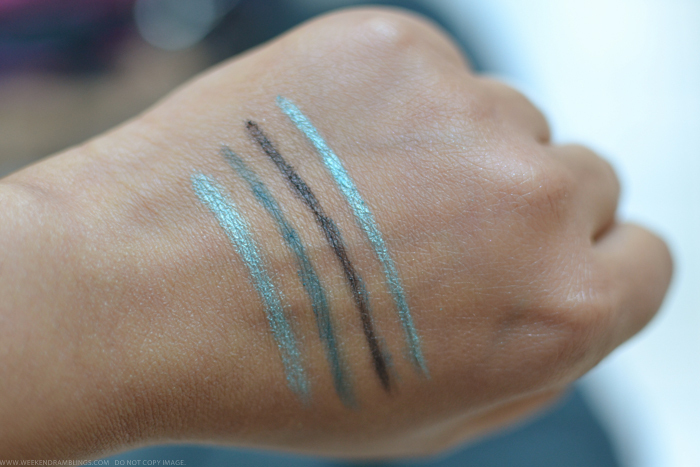 The colors include a bright teal as well as 2 darker shades - deeper blue-green and a blackened grey. Lancome's My French eyeshadow and liner palette is a lovely palette for spring, with its mix of soft browns and bright pops of color liners. 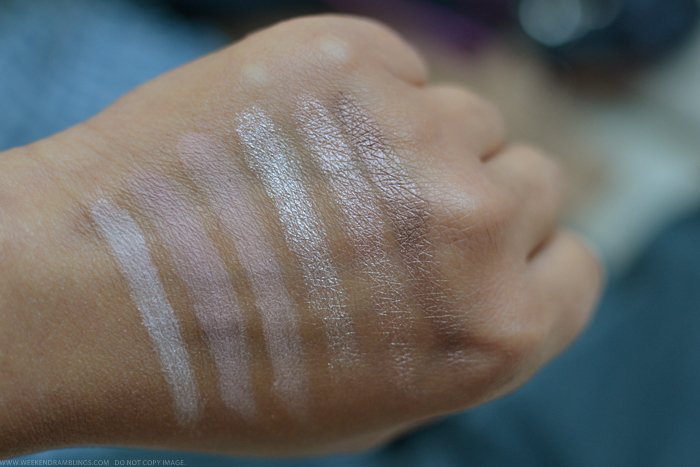 The shadows are the sort that should work on any skin tone, but I used a sponge applicator to apply these swatches, and I amn't sure how well these would perform when applied with a brush. 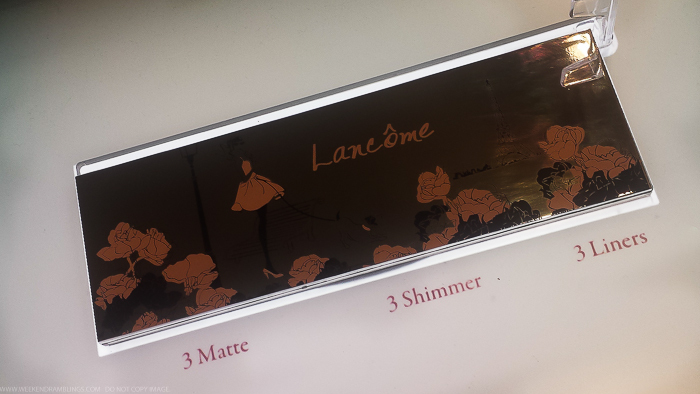 For a more detailed review, photos and swatches, check Temptalia's review of the Lancome My French palette. 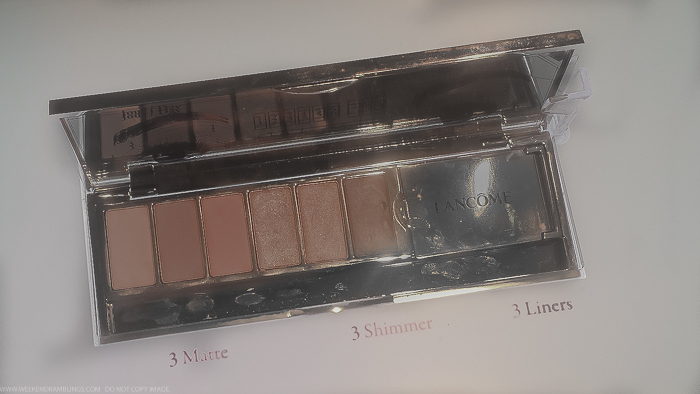 For ideas on using this palette, do check out Lisa Eldridge's video on using the Lancome My French palette. 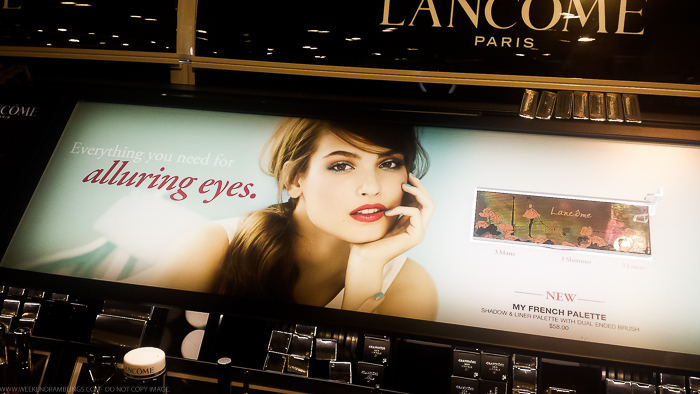 Lancome's My French Palette is available at Sephora, Nordstrom.